January marks the beginning of a new year and a new experience in life. What is the best way to enjoy such a beginning better than the experience-rich land of Rajasthan itself? If you are ready for such a vacation, you are in for a treat. 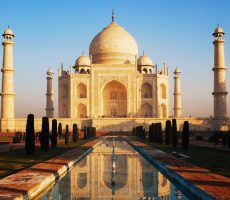 Rajasthan has several destinations, which will be at the best beauty during the dawn of the New Year. Here are the top five destinations to visit in Rajasthan in January. This is the capital of the state and you ought to understand that it is the cultural and virtual gateway to the Rajasthan lifestyle. Starting from traditional thali meal to shopping for camel-skin accessories, you are in for a treat when it comes to Jaipur. The city will be quite cool and pleasing, thanks to the climate and clear skies of January. Moreover, the evenings will be interesting with numerous cultural activities. 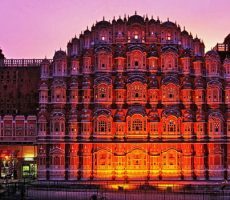 Are you planning to cover Jaipur? There will be numerous festivals during January. If you are looking for a cultural experience, you ought to take part in the local festivals. Enjoy sightseeing at various tourist destinations like Hawa Mahal, City Palace, Jaigarh Fort and others. Also, choose to ride on the back of the big-eared jumbo mammal to the entrance of Amer Fort. During the second week of January, you get to enjoy kite flying with the locals during the harvest festival. Choose to enjoy a few adventure activities like hot air ballooning and others. The Blue City will be quite beautiful due to the chilling temperature and a blue hue of the climate. With the giant Mehrangarh Fort in the backdrop, this is the picture-perfect vacation for everyone. You would be quickly transported to the 15th century for a historic and colorful vacation. Choose to stay in heritage hotels to enjoy a luxurious vacation. There are 28 heritage hotels in Rajasthan, which were once a royal palace, fort, haveli or others (Source:). You can always stick with heritage hotels, no matter where you are visiting in Rajasthan. Are you looking for a complete luxury vacation? Choose to travel with luxury trains like Maharajas’ Express, Palace on Wheels and others. Thanks to the climate and dry mornings, you can enjoy numerous adventure activities in Jodhpur during January. 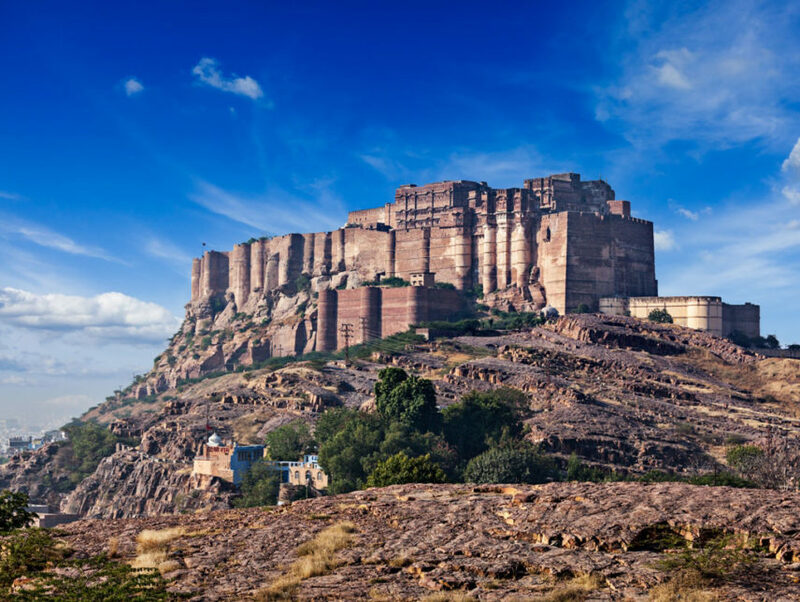 Do you want to cover Jodhpur during your trip? Among all the adventure activities to enjoy, you ought to try the zip line at Mehrangarh Fort. This is the right time to enjoy street food cuisine of the land. Visit to the top of the fort during early evening to get a clear and cool view of the blue hued city below you. 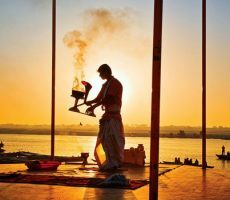 Pushkar becomes a hot spot for spiritual visitors. At the beginning of the year, pilgrims visit the temples of Pushkar and take a holy dip in the Pushkar River to wash away the sins of the gone year and to wish for a better future in the upcoming year. For many religious purposes, you can find numerous rituals and events taking place in the land of Puskhar. If you are visiting Pushkar, do not forget to visit its sister city, Ajmer. With the new air route between Delhi and Kishangarh, visiting Pushkar and Ajmer is quite easier than before (Source:). There will be numerous temples to cover in Pushkar. However, do not miss the Brahma Temple of Pushkar. According to legends, Lord Brahma does not have any temple on Earth. 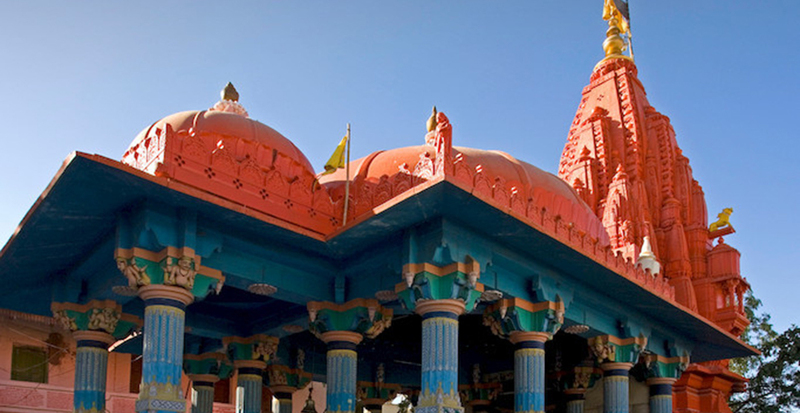 However, you can find a Brahma temple in the banks of River Pushkar. River Pushkar is said to be created when Lord Brahma dropped his lotus on earth. Thus, it is considered as a very spiritual waterbody. It is recommended to take bath in the water but check whether it is clean before you jump in. During any other giving month, Bikaner is just a historic and spiritual destination. Wait for January and it becomes a cultural hotspot. 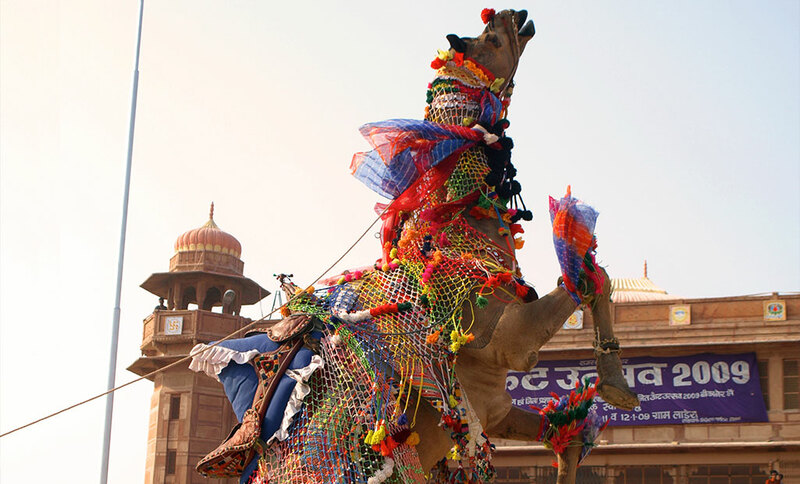 Thanks to the iconic Bikaner Camel Festival, you can enjoy numerous cultural and traditional activities like camel beauty pageant, camel acrobatics, fur cutting competition, camel-milking competition, best breed competition and so on. In addition, the fair region will be filled with numerous traditional delicacy stalls. Some might even sell delicacies made with camel milk. If you are willing to spend some time in shopping, the fairground will have many souvenir shops. Apart from the celebration, Bikaner is also famous for adventure activities, cultural sightseeing and other activities during January. Do not forget to take a camel safari through the villages during January. The entire day will have quite a pleasing climate. Thus, you can enjoy sightseeing at any part of the day. Reserve the evenings for cultural activities. If you are choosing to enjoy adventure activities, choose early morning. As the day goes, the crowd for the activities increases. 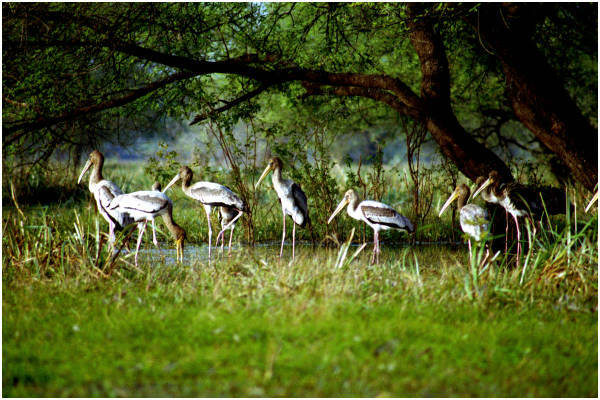 If you love birds, this is the right time to visit Bharatpur’s Keoladeo National Park. You can find more than 375 species of birds in this park. In addition, you can also spot numerous migration birds from Siberia, China, Tibet and Europe. If you want a nature-filled time, you can find many lodges for overnight stay. You can also choose to stay in a luxury palace inside the park. Spotting local and migration birds will be quite easier during January. Thanks to the clear skies, your photographic skills can be easily explored in this park. The rickshaw safari is the most opted one and remember that there are only a few rickshaws in the park. Thus, choose to visit the park as early as possible. Moreover, you can spot many birds during sunrise and sunset. This land of color has very vibrant festivals, which focus on celebrating heritage, romance, heroism and culture. Among the endless list of festivals, here are the top celebrations to cover in January. For more festivals and celebrations of January in India. January is the right time for adventure activities. Starting from village regions to sand dunes, every inch of the land is filled with spots for adventure activities. If you want an adrenaline rush, here are the top activities to cover during January. Safari at Ranthambore National Park, Bharatpur National Park, Sariska National Park, Kumbhalgarh wildlife sanctuary and others. Hot air ballooning at Jaipur and Pushkar. Vintage car rally for automobile lovers. 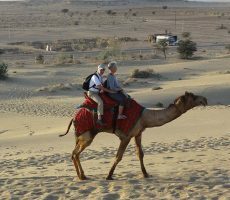 Camel safari, jeep safari, horse safari, rickshaw safari and others – Read to know about places to enjoy safaris in Rajasthan. Camping, trekking, hiking, rock climbing and other activities. « Delicious Dishes in Goa: What and Where to find ?